I wrote parts of this in 2008 and other years, so all the “yesterdays” and “last weeks” are a little off. This year’s update is at the very bottom. Wow. That’s about all I can say. Yesterday was possibly the best day of my life since I started getting Cushing’s symptoms, and that was over 25 years ago. A quarter of a century of feeling exhausted, fatigued. A quarter of my life spent taking naps and sleeping. I went to the endo yesterday. Nothing has changed for me. Nothing will. He wants me to take more cortef. I don’t want to gain weight again. He looked up Provigil and it’s not indicated for panhypopituitarism. So he won’t prescribe it. My kidney surgeon probably won’t let me take, anyway, but it was worth a try. He did mention that in “only” 2.5 years maybe I can go back on growth hormone. I don’t want to live like this another year let alone 2.5. But then, when I was on GH before it didn’t help me like it helps most everyone else. I’m tired of catering to a kidney that may or may not fail sometime anyway, tired of being so exhausted all the time. I feel like I’ve lost nearly half my life to this Cushing’s stuff already. So, yesterday I was supposed to go to a conference on web design for churches. My church sent me because they want me to spiff up their site and make them a new one for Christmas. I wanted to go because, well, I like learning new stuff about the web. I figured that I would learn stuff that would also be useful to me in others of my sites. But the amazing thing is this. My son had told me about a medication that was very similar to Provigil, that he had tried it while he was writing his doctoral thesis and it had helped him. So, having tried the official doctor route and being rebuffed – again – I had decided to try this stuff on my own. I hate this disease, too. I was just talking to a friend today about how I’d try nearly anything – even if it ruined my one remaining kidney – to have a few days where I felt good, normal, where I could wake up in the morning rested and be able to have energy for the day. I want to go out and have fun, to be able to drive for more than 45 minutes without needing to rest, to be have people over for dinner, whatever. I hate being restricted by my lack of energy. My endo says to cheer up. In two and a half years I can try the growth hormone again. Whoopee. Didn’t work the first time and maybe gave me, or contributed to, cancer growth. Why would I want to look forward to trying that again? I want to feel good now. Today. I hate that this disease kills but I also hate that it’s robbed me of half my life already. I wish doctors would understand that even though we’ve “survived”, there’s no quality of life there. 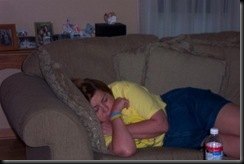 As I said earlier, I have a history of daily naps of at least 3 hours a day. It cuts into everything and prevents me from doing many things. I have to schedule my life around these naps and it’s awful. A few years ago I went on a Cushie trip to Rockford. I’ve been there a few times and it’s always so much fun. But this first year, we were going to another Cushie’s home for a barbecue. I didn’t drive, I rested in the back of the car during the drive. We got there and I managed to stay awake for a little while. Them I put my head down on the dining room table and fell asleep. Our hostess kindly suggested that I move over to the sofa. So, I have a long history of daily naps, not getting through the day, yadda, yadda. So, I was a little nervous about yesterday. I really wanted to go to this conference and was afraid I’d have to go nap in my car. I stayed awake for the whole conference, went to a bell rehearsal, did Stacey’s interview, had dinner and went to bed about 10:30PM. NO NAP! I did close my eyes a little during the 4:00PM session but it was also b-o-r-i-n-g. I stayed awake, I enjoyed myself, I learned stuff, I participated in conversations (completely unlike shy me!). I felt like I think normal people feel. I was amazed. Half my life wasted and I finally (thank you Michael!) had a good day. Well, the energy from the Adrafinil was a one-day thing. I felt great on Thursday. Friday and Saturday I slept more than usual. Saturday, today, was one of those days where I sleep nearly all day. Maybe if I took the drug more it would build up in my system, maybe not. But it was still worth having that one day where I felt what I imagine normal to be. While I was being a slug today, my husband painted the entire house. I’m not sure if I would have been this tired today or if I was somehow making up for the nap I didn’t get on Thursday. Whatever the case, I’m glad that I had the opportunity to try this and to experience the wonderful effects, if only for one day. Adrafinil is the prototype of a new class of smart drug – the eugeroics (ie, “good arousal”) designed to promote vigilance and alertness. Developed by the French pharmaceutical company Lafon Laboratories, adrafinil (brand name, Olmifon) has been approved in many European countries for treating narcolepsy, a condition characterized by excessive daytime sleepiness and other unusual symptoms. It’s interesting that that snipped report that people become more talkative. I reported that in the original post, too, even though I didn’t realize that this was a possibility. A while ago I went to a handbell festival. I took a bit of adrafinil on the main day to try to stay awake for the whole day. It didn’t seem to keep me as on as it did before. I can’t be used to it already. Maybe I’m just that much more tired than I was before. Our son lives in New York and every few years he gives us tickets to see a Broadway show. A couple years ago we took the train to NY to see Wicked. Usually, my DH wants to go out and see sights while we’re there. I usually want to nap. This time we got up on Saturday morning, went out for breakfast. I wanted to take in the whole day and enjoy Wicked so I took some Adrafinil. We got back to the hotel and got ready to go to a museum or other point of interest. Sigh It was a great show, though. A recent Christmas I was going to get my son some Adrafinil as a gift. The original place we bought it didn’t have any more stock so I tracked it down as a surprise. He was going to give me some, as well, but couldn’t get it from the original source, either. So he found something very similar called Modafinil. GMTA! Saturday, 4/23/16 really was one of the best days I’ve had in a long time. 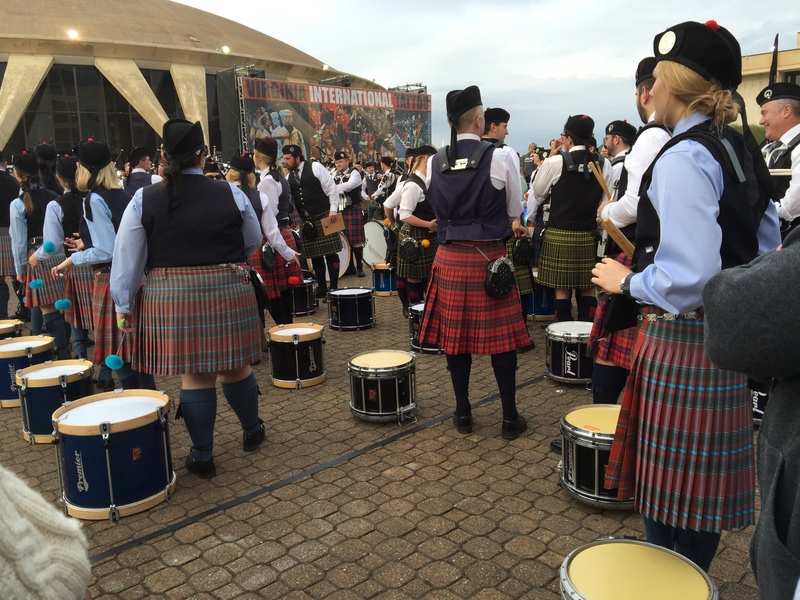 Suffice it to say, we arrived at the Tattoo and I got no nap at all, all day! We just came home from a great weekend in New York City with our son. I haven’t written about it yet in my Travel Blog but will soon. I did put a bit about it in my Little Free Library blog (do I have too many blogs??) I was amazed to make it through the entire weekend with no Adrafinil – sadly, there’s nowhere to get it anymore. I carried extra cortisol, just in case. And slept all the way home on the train. Last but not least, 2018. 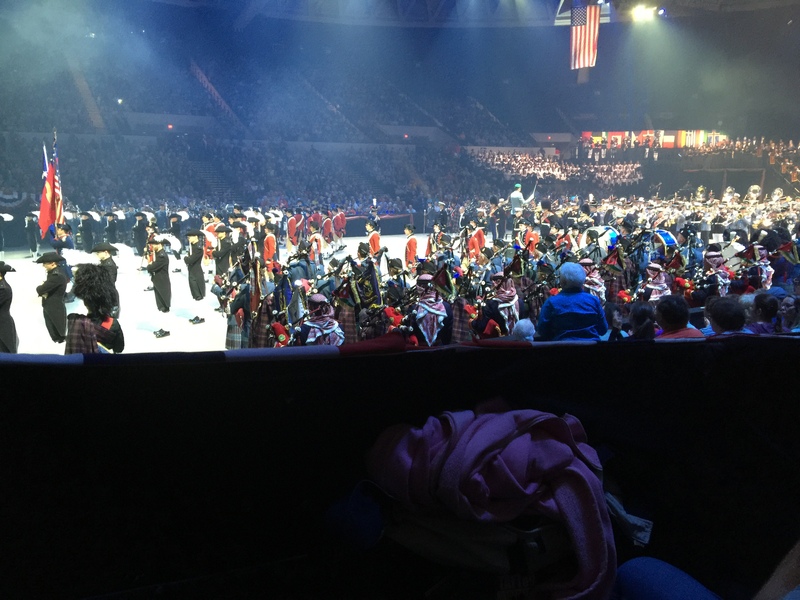 We went back to the Virginia International Tattoo again and it was everything I remembered from 2016. A wonderful, but very exhausting time! This time around we went to some of the band competition, then went back to the hotel for a nap before the show. Fortunately, most of the afternoon events were live-streamed on Facebook so I didn’t miss much. All of the 2018 Tattoo is on YouTube already. When they showed the videos of the Medal of Honor recipients, I thought it was amazing. There is no way I could do any part of what they had done. Just before leaving, I bought a teeshirt which said More Bagpipes. When we got home this afternoon, it was a 4-hour nap.